St. Patrick s one of the world's most popular saints and is celebrated with much enthusiasm every year. 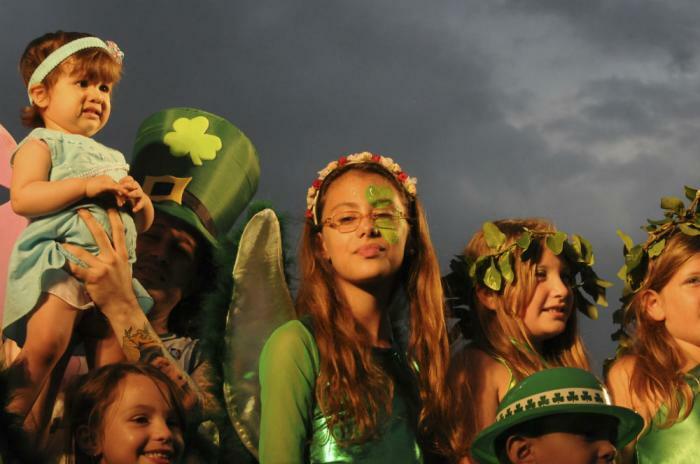 Festivals, parades, parties and more - St. Patrick's Day is celebrated in wonderfully unique ways across the globe! How do YOU celebrate St. Patrick's Day (Sammy and the City)? LOS ANGELES, CA (Catholic Online) - St. Patrick felt called to spread Christianity throughout Ireland and worked to teach the locals for the last forty years of his life. The shamrock was attributed to him since he used the three-leaf clover to explain the Holy Trinity to the Irish. 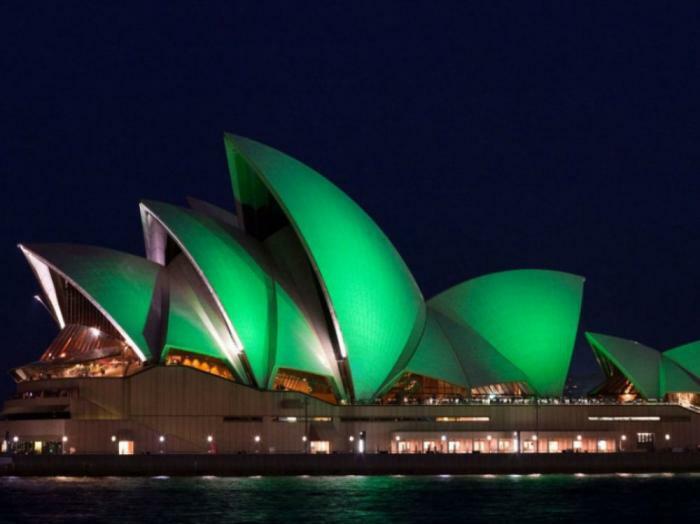 Since his sainthood, countries around the world have come to celebrate St. Patrick's memory by incorporating Irish traditions, shamrocks, the color green and even leprachauns into their festivities. 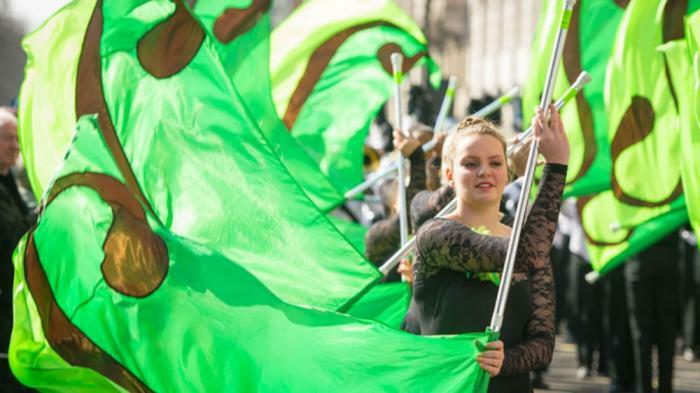 Hundreds of performers and puppets appear for London's St. Patrick's parade (Press Association). Thousands gather around London's Tragalagar Square to celebrate the Mayor of London parade and St. Patrick's Day celebration. The parade includes floats, marching bands, costumes, puppets, dancers and more. 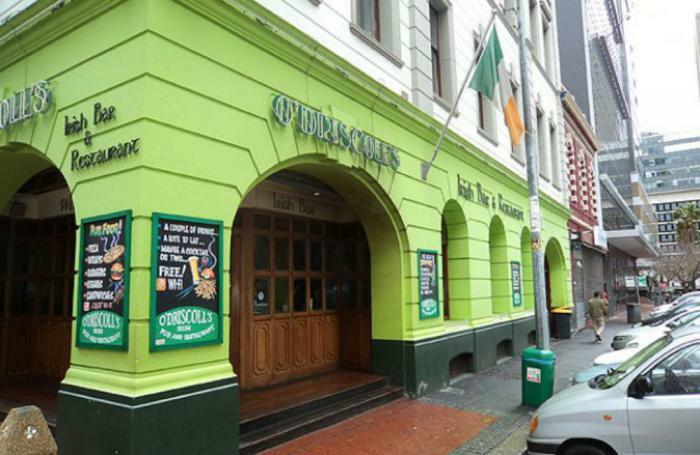 Cape Town has its own Irish pub complete with green walls (Cape Town Magazine). Anyone visiting Cape Town, South Africa on St. Patrick's Day will have access to several St. Patty's Day sales, specials and specialty menu items. Most of the specialty drinks and meals include Irish beers and whiskey, while several bars offer face paint and Gaelic music! How to avoid getting pinched this year (Valerie Harris)! 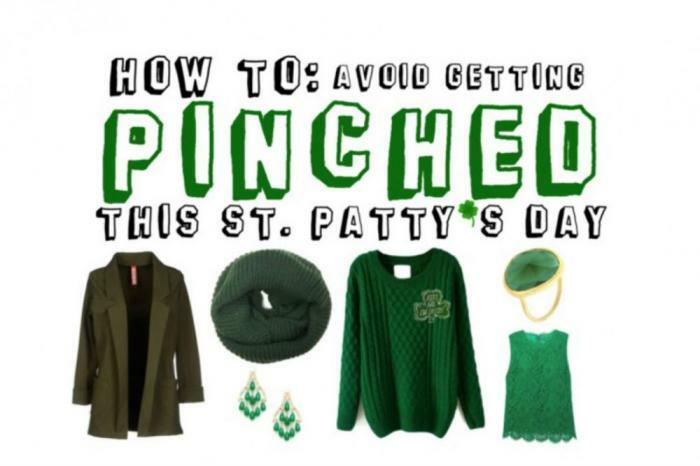 In the United States, everyone is expected to wear green for St. Patrick's Day. Anyone caught not wearing the color of the shamrock gets a playful pinch. In New York a parade is thrown with the city's politicians always featured prominently in each, while dancers, marching bands, green decorations and "Kiss me, I'm Irish" shirts can be found on every corner. Canada celebrates with costumes and a parade (Grant Linton/CBC). 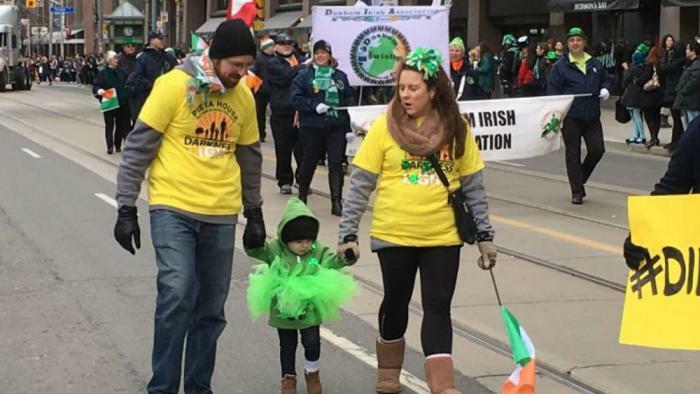 Toronto, Canada celebrated St. Patrick's Day with an annual parade featuring the talents of several musicians, red hair, green clothes and cardboard shamrocks. Face paint, costumes and more in Buenos Aires (WikiMedia Commons)! St. Patrick's Day is actually St. Patrick's week in Buenos Aires, which boasts plenty of music, food and dangers. Like so many other countries across the world, Buenos Aires holds a parade, there is live music, street parties and the streets are closed to traffic each night! 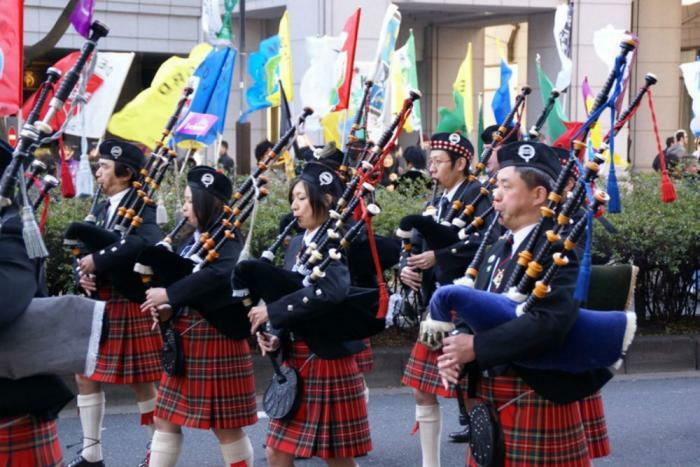 Japan holds several parades across the country for St. Patrick's Day (Japan-Talk). If you attend Tokyo's St. Patrick's Day parade, expect green-clad cheerleaders, dancers, bands and more! There are kilts, shamrocks, balloons, harps, costumes, bagpipes and plenty of open bars and delicious food. Celebrate an Irish parade in Australia (rsvvlts). After New York City, the St. Patrick's parade in Sydney, Australia is believed to be the second-largest St. Patty's Day parade in the world! There are food stalls, live music and performances as part of the parade as well as along the parade route, where people can perform, take part in activities, enjoy Irish-themed or green-colored food and enjoy plenty of entertainment. The fact that the world celebrates St. Patrick's day is a testament to the man's evangelical efforts, despite the overflowing cups of beef and Darby O'Gil reruns, so get out there and pay homage to the saint of Ireland!